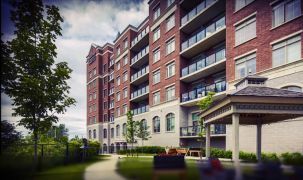 Given the location, the experience of the builders, and the fact that this is all new, we think V!VA Oakville is set to become the new standard of senior living in the Greater Toronto Area. V!VA knows how to create vibrant living spaces, with interiors that make your day just a little bit brighter and better. See their four other places in the GTA to get a glimpse at great communities they create. You’ll find that there’s a lot to do here (as we see at other V!VA communities) and you’ll love the way your interest in things is rejuvenated by the activities and the social life here. 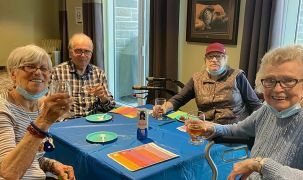 It's ideal for independent seniors who want relief from simple mundane tasks, and freedom to become a fuller person in the company of peers. You can also get help with current or anticipated care needs, thanks to the availability of assisted living here. 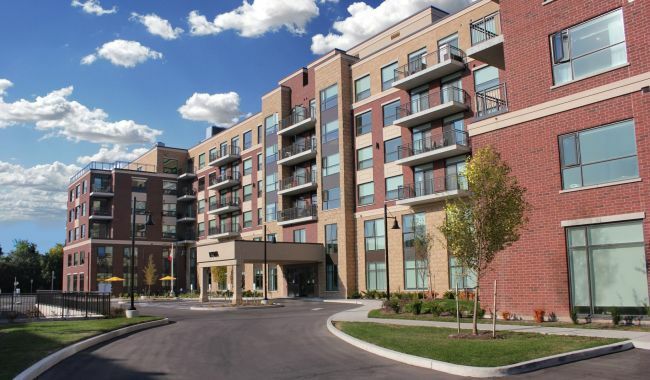 The best and brightest of senior care living is going into this community. The amenities here are going to be dazzling. It will be home to an onsite café, pub, and other five-star features. There’s also going to be a hairdresser and a manicurist, along with a concierge to make sure all your needs are met. People who participate in brain gym really enjoy the benefits of this program. We think that if you’re going to move somewhere new, why not move somewhere brand new? The benefits of this are many. If you are looking for the best in the GTA, just imagine life in one of these bright suites with wide windows and completely new bath and kitchen stuff. This place promises a new kind of freedom, like you’ve never felt before. Expect excellent onsite amenities like Perks Café (delicious baked goods, coffees and teas), V!VAplex (an onsite theatre), Victory Garden (flex your green thumb!) and Pints! (onsite pub). The daily menu includes soups, delicious entrees and desserts, with healthy choices and copious a la carte options. 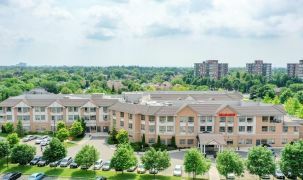 Nearby is Oakville Trafalgar Hospital, Glen Abbey Golf Course, and River Oaks Community Centre. Right in Oakville Town Centre. Further amenities include saltwater pool and golf simulator. New community. Reviews coming soon. Here's what people say about other V!VA communities in the GTA. I’ve been her for almost a year. I’ve become friends with wonderful people, been fed fantastic meals, and participated in many of the fun-filled activities that are offered here. The thing I enjoy the most is the exercise classes that are provided daily. I now call V!VA my home. The pool has changed my life. I went from being wheelchair-bound on arrival to now being completely mobile…It’s has been so beneficial to my progress. The culinary and dining room staff have been very receptive to [my] requests and concerns. Healthy options are available. Meals are tasty and nutritious.